Building on 30 yrs of endurance sports experience, John enjoys working with individuals of all abilities from beginners, advanced & elite athletes. He has coached athletes at the Junior Olympics, Xterra World Championships, Aqua-Bike World Championships & improved ultramarathoner 100 mile finish times by 3.75 hrs. Services focus on cyclists, swimmers, runners, triathletes, and general fitness. John utilizes the latest, verified science and best practices to help his athletes achieve their goals. 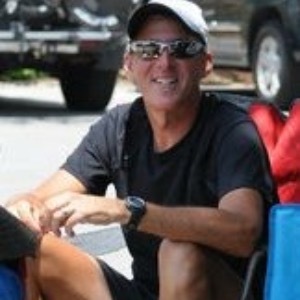 John Maines is an Ironman Certified Coach, USA Cycling Level 2, USA Triathlon Level 1, and a US Masters Swimming Level 3 coach. He is also a US Masters Swimming Adult Learn to Swim Instructor. By using an athlete-centered approach, Coach Maines considers the athlete’s goals, work schedule, and personal time to create a personalized training program. The latest verified science based physiology, biomechanics, athlete feedback, and data analysis, training performance, progression, and adaption are utilized while also evaluating skill and technique. John strives to help his athletes understand the rationale behind each workout . He believes it is important to train with intelligence and motivation, while maintaining a high level of enjoyment along the way to achieving the athlete’s goal. For more information about John's coaching and consulting services, visit: http://www.resultsfitnesssystems.com or call 615-260-1146. Success. Coach John Maines has been notified of your message. To hire John Maines as your coach, select the coaching service that is right for you.